Daily Slideshow: Do We Have Jerry Seinfeld to Thank For the 911R? Car people want to have their cake and eat it too. They long for the simple machines of years gone by, the clean lines and light weight of, say, a nice 911S. Yet no one wants their favorite brand to get beat around the Nurburgring, or their 911 to get lapped by Corvettes. So car people dream about a vehicle that can be both things. For Porsche enthusiasts, the 911GT3 and GT3 RS were those vehicles... almost. For some the lap-time-lowering rear wing was a step away from the purity they were searching for, to others the disappearance of a proper manual transmission was a giant leap away from what it meant to pilot a Porsche. Enter the 911R. Basically a GT3 RS sans wing and PDK gearbox, the 911R debuted with a list price of $185,950, but with only 991 examples made and universal praise leveled at it, prices on the second-hand market soon jumped to multiples of that amount. >>Join the conversation about Jerry Seinfeld and the 911R right here in the RennList Forum! The 911R differed from the GT3 in other key ways, despite sharing most of the GT3's mechanical make-up. The steering, dampers, and rear-axle steering were all adjusted to better suit street driving, where loads and speeds live below what you'd find at any race track. The R reportedly felt more stable in corners, and while still crisp, the car's handling exhibited less of an unforgiving edge than the GT3's. Reviewers had been complaining that cars were simply too fast and too grippy for even experienced drivers to be able to explore their limits on public roads. The R offered just the right amount of composure for fun yet forgiving motoring. So where does Jerry Seinfeld fit into all of this? Jerry recently chewed the fat with Spike Feresten and Paul Zuckerman on Spike's Car Radio podcast. The three had a lot of Porsche ground to cover but when it came time to talk build-your-own-Porsche, Jerry had a story about doing just that. Jerry related the tale: "I wanted to do a custom-made, one-off 911. Ten years ago, Grant [Larson] and I had discussed this, and he approached the board. What I wanted to build was a new 911 R, which they refused us, but then, four to five years later, the 911 R appears." What was he looking for in his 911R? "I wanted a super-lightweight, no-wing, GT3," Jerry told his audience. 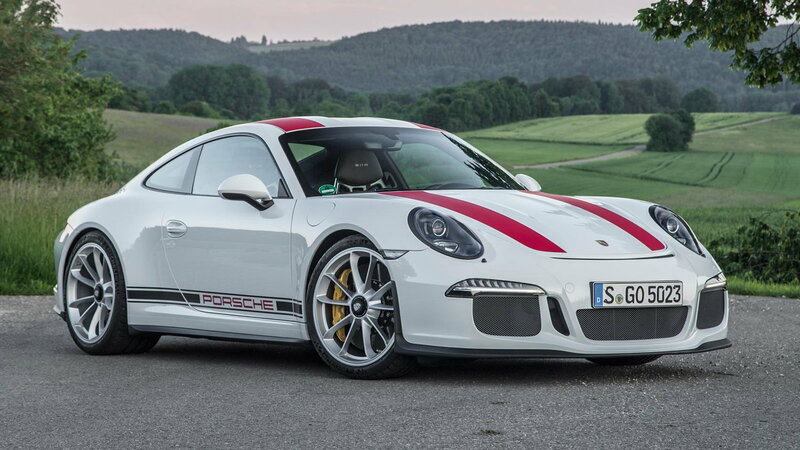 Zuckerman, an attorney, said he'd be willing to represent Jerry if he wanted to pursue action against Porsche, while Feresten dubbed Jerry the father of the 911R—though the podcasters agreed that maybe Porsche had to rebuff Jerry to keep an impending R launch under wraps. 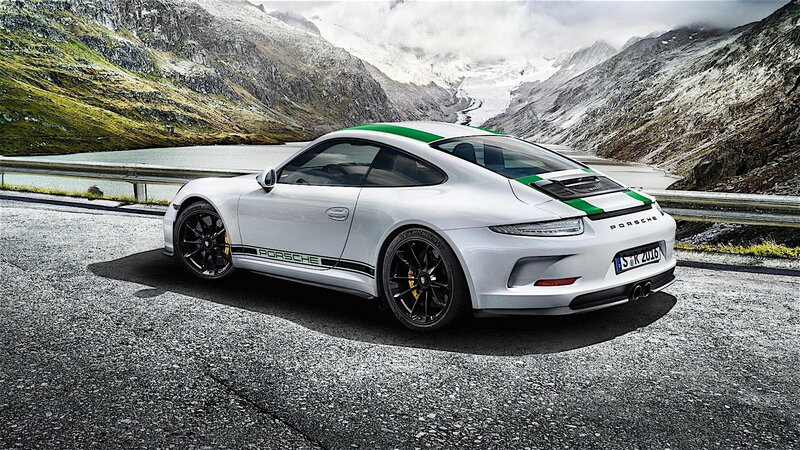 Porsche's version of 911R development, while it doesn't mention Jerry, shares a few of the elements he mentioned. Porsche tasked their Motorsport's GT vehicle development team with creating their dream 911, the 911 they'd want to spend the most time behind the wheel of. They came up with the same formula Jerry, and scores of other enthusiasts had been pining for: lightweight and a manual transmission. And more than that, a driver's car, one that was direct, communicative, and rewarding. 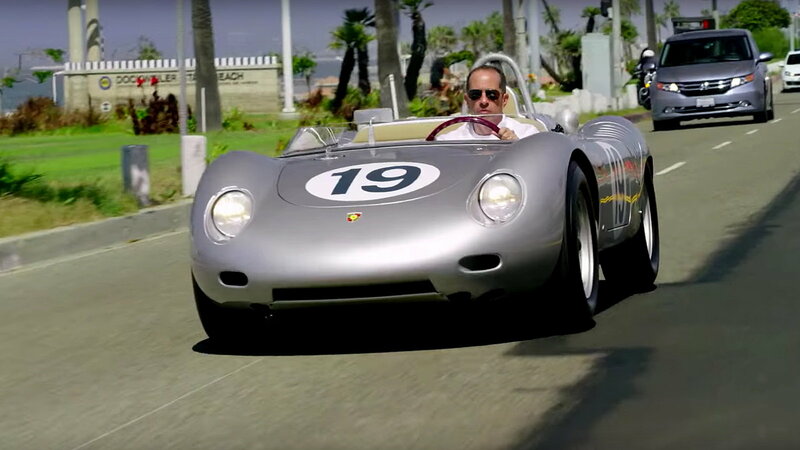 The team developed a six-speed gearbox that wasn't found in any other Porsche, using the seven-speed transmission from the standard 911. 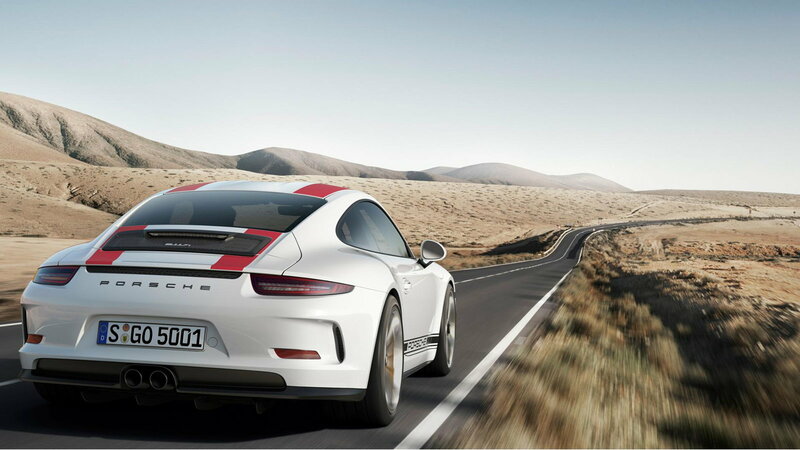 The team shed a gear, changed the ratios, and shortened the shift throws, and when combined with the single-mass flywheel, the changes the give the 911R a feeling of driver connectedness and responsiveness that no other 911 can offer. Weight savings were achieved through the use of a carbon-fiber hood and front fenders, and via a magnesium roof (also found on the GT3) shifting the 911's weight balance slightly lower, in turn improving chassis response. Less sound-deadening insulation coupled with the use of plastic quarter-windows shed pounds and interjected a little more of the flat-six's song into the driver's experience as well. Buyers who deleted the A/C and infotainment were rewarded with a 3,021 pound 911 (271 pounds lighter than the GT3 RS). Losing the rear wing cut drag and as a result, the 911R boasts a 200 mph top speed and is faster than either of the winged GT3s. Sometimes less is indeed... faster. Whether Jerry's putting in a good word for the 911R nudged Porsche in the right direction we'll never know for sure, but we know whom to call with our next 911-themed idea. For help keeping your Porsche running right, please see our how-to section in the forum.